With over 200 countries and territories and seven beautiful continents, the world is certainly full of amazing travel destinations. One of those countries is the United States of America, a place that some of you reading this might call your new home! America has 50 states and even more cities that are truly worthy of a family trip or vacation. If you should be so lucky to travel in the near future, we’ve compiled a list of five US cities that would be just perfect for you and your family to visit. Take a look at these places below for a time that you won’t soon forget! All the way on the West Coast of the United States, the city of Los Angeles is not only exciting, but also full of history. If you’re of fan of the movies and music, head down to Hollywood Boulevard where you can stroll down the Walk of Fame, featuring the famous names of musicians, actors and actresses on the street below you. Perhaps the most recognizable attraction in Los Angeles is its Hollywood sign. Hike up the famous Griffith Observatory early in the morning to catch a glimpse of the 45-foot high landmark. If you want to grab a closer look, trek through the Hollyridge trail to stand right behind the sign that opened all the back in 1923! 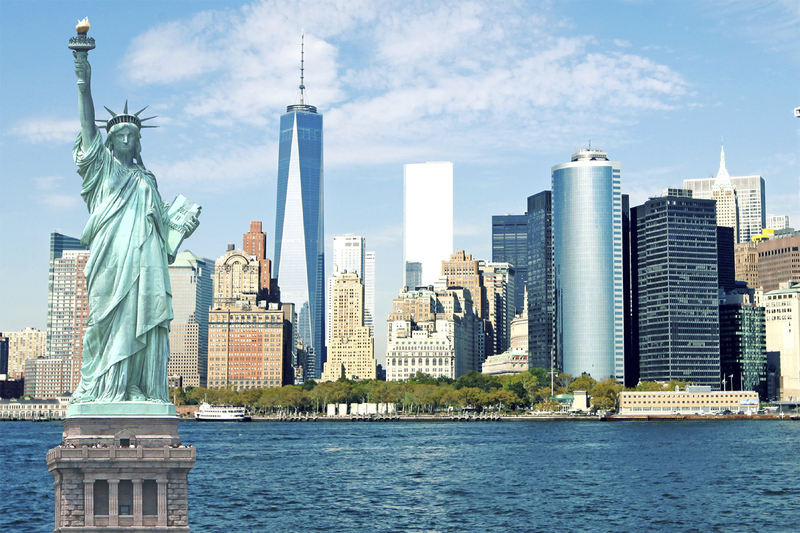 New York City is often referred to as the “city that never sleeps.” You can see why, as the city is full of attractions at every turn, like the Statue of Liberty. The statue is over 100 years old and was a gift given to America from France in 1886. It’s also over 300 feet tall and instantly recognizable from a far distance. Whether you’re visiting the Empire State Building or walking through the bright and busy lights of Times Square, New York City is a treat for all who come to visit. Orlando is a city in the central part of Florida, a state located in the southeast area of the United States. This city is the perfect spot for the whole family as it has over a dozen theme parks, including the famous Disney World. The Walt Disney World Resort opened in 1971 and is the most visited vacation resort in the world. One of the best places in the park is Epcot, which is a unique park in the resort that features the culture and cuisine of 11 different countries, including Mexico, Morocco, China and Canada! From Florida to the nation’s capital of Washington, D.C., which is located between Maryland and Virginia. Perhaps one of the most historical destinations in the United States, Washington D.C. is home to the White House, where the President of the United States lives. Taking a tour of the famed landmark is quite a treat, as it has been home to 42 presidents, has 132 total rooms and receives around 6,000 visitors a day! Lastly, one of the most remarkable natural wonders of the world is the Grand Canyon, which is located all the way over in Flagstaff, Arizona. Many of you might have seen this landmark in photos, but there is no experience quite like actually being there. The canyon is over 270 miles in length, and some believe the rock found at the bottom is over 2 billion years old! It’s quite a sight to be seen; so don’t forget your camera! Whether you live in America or outside the country, these five cities are wonderful destinations that have tons of culture and history. From beautiful landmarks to relaxing environments, you’ll find that a vacation to any of these places will be one you and your family will remember forever.